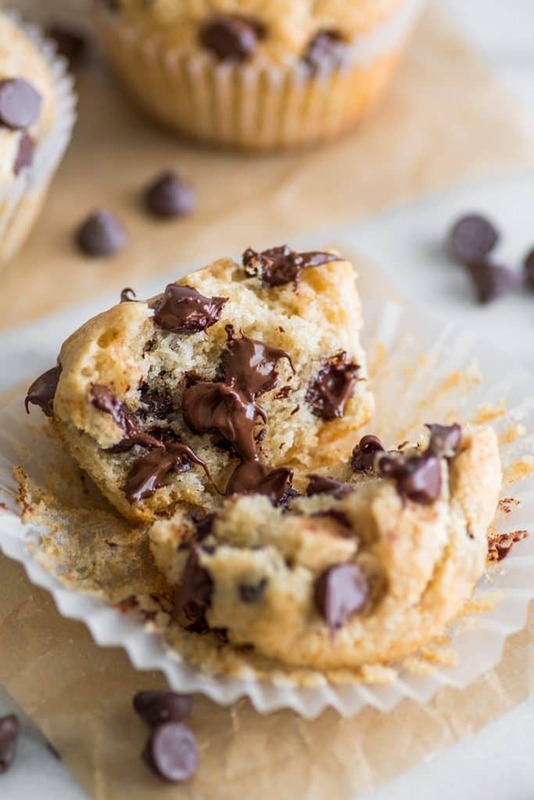 These Small-batch Chocolate Chip Muffins are incredibly soft and moist and packed full of chocolate chips. I went a little muffin crazy this summer and have posted a bunch of small-batch muffin recipes over the last couple of months. There were Small-batch Chocolate Chocolate Chip Muffins,Small-batch Orange Muffins, and Small-batch Blueberry Muffins. 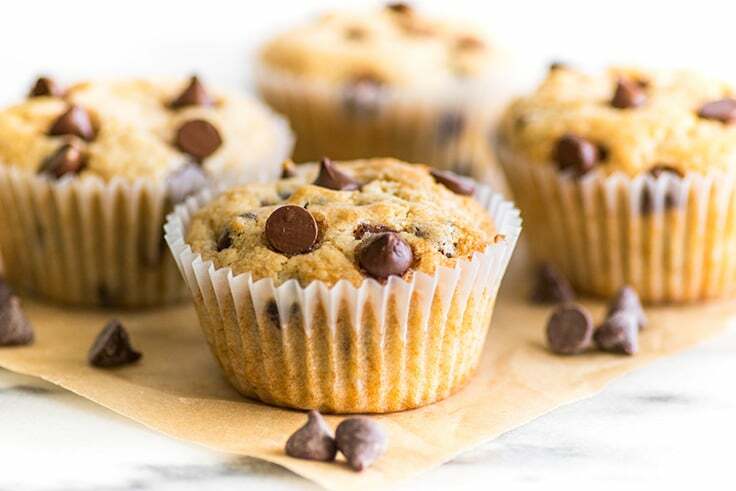 And today, I have some Small-batch Chocolate Chip Muffins for you. This is the last muffin recipe I have on the calendar for now, but if there’s something you’d like to see, shoot me an email. I always love hearing from you! I’m pretty pleased to be ending my current muffin run with these little beauties because there is absolutely nothing better than the excuse to eat chocolate for breakfast. 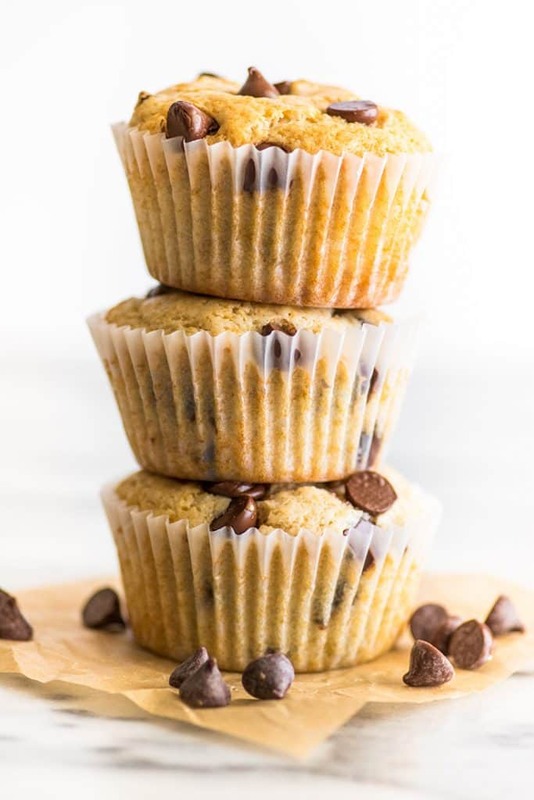 These small-batch chocolate chip muffins are positively packed full of chocolate chips, and I added espresso powder to the batter, so they have just a hint of coffee flavor to them, which gives the chocolate a nice little boost. (If you don’t like coffee, don’t worry, you can omit the espresso). This base is the same as my Blueberry Muffins, so like those muffins, these are incredibly soft and moist. Eating one for breakfast with a cup of coffee makes even the busiest morning feel just a little bit indulgent and special. This small-batch muffin recipe will make four muffins, and while muffins are usually best on the first day, these are so moist that if you make them in the afternoon, they’re still going to taste amazing the next morning, and if you pop it in the microwave for about 15 seconds before eating, so the chocolate is all gooey and melty, even better. Have you made any muffins this summer? What’d you make? Preheat your oven to 375°F and line your muffin tin with 4 cupcake liners. In a small bowl, whisk together flour, baking powder, espresso powder, and salt. Set aside. In a medium bowl, combine sugar and oil, and whisk until well-combined. Add egg white, sour cream, and vanilla. Whisk until smooth. Stir in flour mixture until just combined and then fold in chocolate chips. Divide mixture between your prepared muffin tins. 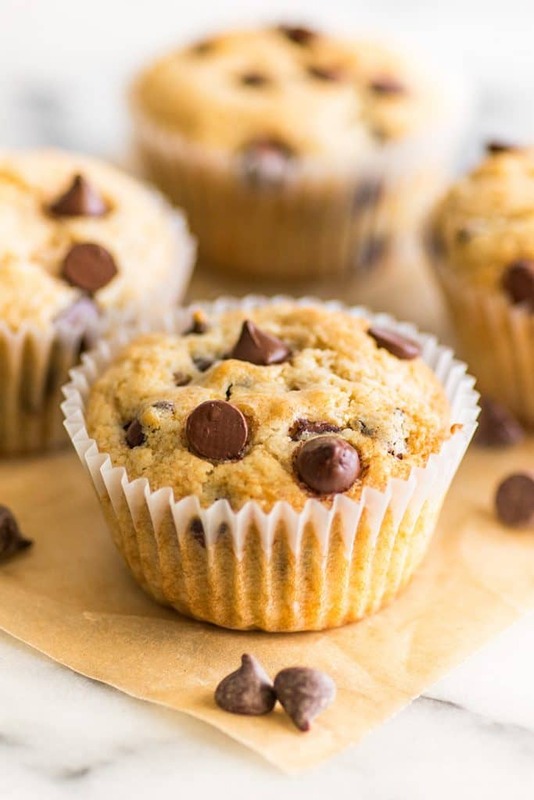 Bake for 17 to 21 minutes, until a toothpick inserted into the center of the muffins comes out with only a few dry crumbs and when gently pressed, the muffin top springs back. Cool for 5 minutes before transferring to a cooling rack to finish cooling. 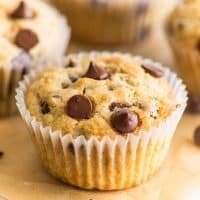 0 Response to "Small-batch Chocolate Chip Muffins"